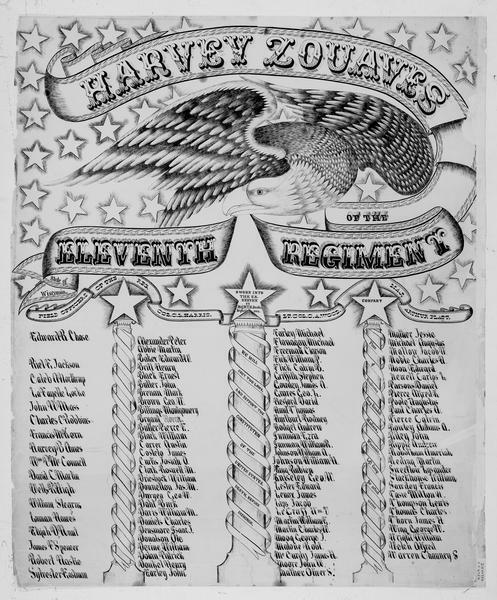 Civil War commemorative roster of Company F, 11th Wisconsin Infantry. I am a high school history teacher in Colorado and am finishing my masters in history from APU. My book The 11th Wisconsin in the Civil War: A Regimental History was published by McFarland & Co. in 2008. My name is Brandon Samuels and I came across your blog. I really like some of the posts and links you have here, so I thought that you might want to know about a new website, timelines.com. Our idea is to create an interactive historical record of anything and everything, based on specific events that combine to form timelines. We’re trying to achieve a sort of user-created multimedia history, in which no event is too big or too small to record. Feel free to create events using excerpts and/or links from your blog. You will generate traffic and awareness of your blog, and you will be contributing to the recording of history. Check out these timelines: this one is an american civil war timeline. http://timelines.com/topics/american-civil-war/page/1 Give us a try and let me know your thoughts.